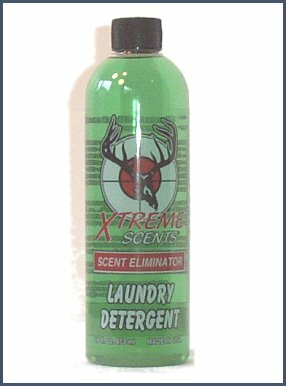 Xtreme Scents Laundry Detergent is a specially formulated detergent designed for washing clothing. This product not only cleans the fabric, but also does not fade camouflage patterns nor does it contain any UV inhibitors. Available in 16 oz bottles Please note: Due to the extra weight of the Product additional shipping charges will apply. These charges will be added to your Visa - M/C purchase.